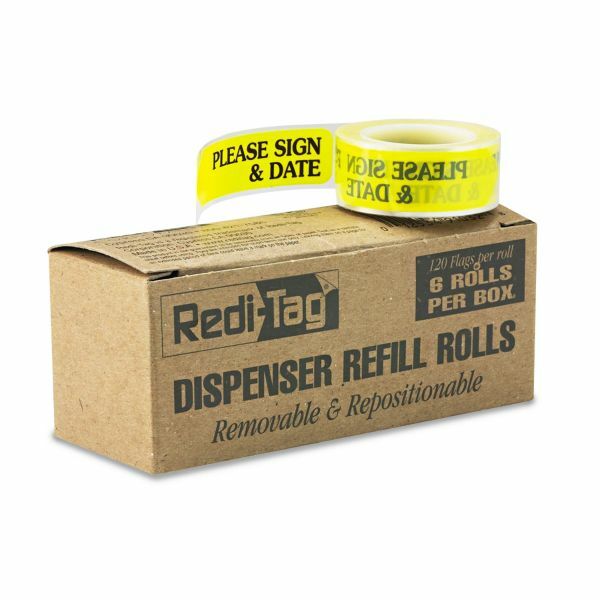 Redi-Tag Arrow Message Page Flag Refills, "Please Sign & Date", Yellow, 120/Roll, 6 Rolls - Please Sign & Date" refill flags fit into a Redi-Tag removable flag dispenser. Use where needed and remove the flag when the task is finished or the reference is no longer needed. 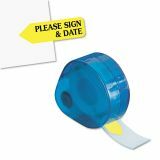 Write on flags if desired."